After-tax income, sometimes called post-tax dollars, is the amount of income you have left after federal income taxes (plus state and local income taxes, if they apply) have been withheld. If you contribute to a nondeductible individual retirement account (IRA), a Roth IRA, or a 529 college savings plan, purchase an annuity, or invest in a taxable account, you are using after-tax income. In contrast, if you contribute money to an employer sponsored retirement plan or flexible spending account, you are investing pretax income. 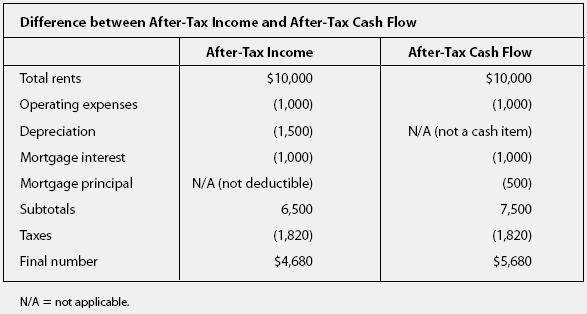 Income after deducting taxes.After-tax income is not the same thing as after-tax cash flow.The major difference between the two will usually occur because depreciation is a deduction from income but not cash flow.You don't write a check for depreciation.The other major difference arises because you write a check for mortgage principal payments, which reduces cash flow, but you can't deduct it,so it does not reduce taxable income. The probability of food insecurity was halved from one end of the observed after-tax income distribution to the other. Analysis of Variance (ANOVA) was used to determine differences in total effective tax rates, share of after-tax income, and amount of after-tax income by presidential term (Reagan, G.
In a longer time perspective young singles had the slowest rise in household income with an average after-tax income of NOK166,200 in 2001, an increase of 14% as compared to the year 1990. 20) The progressivity of the current income tax makes the distribution of after-tax income somewhat less unequal than the distribution of pretax income. 9 million in after-tax income from Longs' wholly owned RxAmerica pharmacy benefits management company (PBM), versus $600,000 in the fiscal 2001 period, when the PBM was a joint venture of Longs and Albertson's Inc.
Bureau of Labor Statistics, they found the average household real after-tax income of married single earner households fell $1,600 (1986 dollars) between 1973 and 1986, while the same measure rose $800 for married dual earner households (Rubin and Riney 1995, 102-103). Before their August recess, Congress approved a tax bill that gives most of the tax cuts to the households at the top whose after-tax income already has risen sharply. For instance, before the 1986 Tax Reform Act, many high-income parents shifted some of their income to their children to maximize the family's after-tax income. This represents about 5 percent of that individual's after-tax income. Long-term care reform: will consumers sign on? 0 million net income after-tax for the twelve months ended December 31, 2006, compared to $887,000 after-tax income for the same period 2005, a 12. Reaves Utility Income Fund is a diversified closed-end management investment company that aims to provide an after-tax income and total return consisting primarily of tax-advantaged dividend income and capital appreciation.